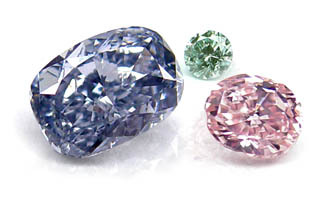 From every million carats of diamond mined, only about one carat will be a fancy color diamond. From those that remain, a mere fraction of a percent represent the whole of natural colored diamond production anually. All fancy color diamonds are only available to view and purchase in our New York City show room.